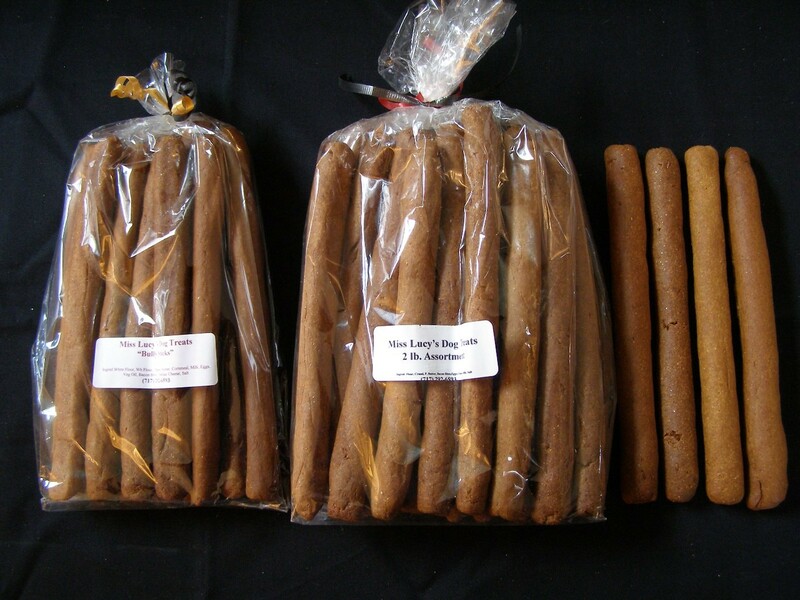 7 1/2" asstd Miss Lucy's Bully Sticks 2lb. Contains Peamutt, Bacon & Egg, Bacon & Cheddar and Peanut Butter Sticks. (4 Different recipes) Sold as 2lb. bag.